Black Opinion scrutinises amaBhungane which describes itself as the centre for investigative journalism and the agenda of its funders. The story of the amaBhungane Centre for Investigative Journalism has its roots in the weekly newspaper, the Mail and Guardian (M&G). In March 2010, the marriage between the newspaper and the investigative journalism unit was solidified and officialised. Since then, stories after stories of state ‘corruption’ and ‘maladministration’ were uncovered by the couple’s mainly white journalists. In April of this year, amaBhungane announced that they were going at it solo – partly because of the dwindling newspaper industry and also to diversify their audiences. The group would maintain its funding structure while also fundraising through the public. AmaBhungane are a not for profit organisation so the main source of their funding is from donors, grants and the public. They say that they prefer it this way so that they can preserve their “independence”. One must note that in the South African media landscape, ‘independence’ means an adherence to a white supremacist, pro-capitalist, pro-imperialist and patriarchal status quo. How? That shall be expanded on a bit later. Who can forget the year 2010 when the FIFA World Cup sold us dreams about economic growth but instead the white owned construction cartels sucked billions of rands from the country? That was also the year when South Africa joined the BRIC (Brazil, Russia, India, China) countries in an overt bid to create an alternative economic platform to the one dominated by wealthy, Western G8 countries. President Jacob Zuma at the time oversaw this transition to the BRICS economy, leaving white Western capitalists, who were banking on continuing looting South Africa (SA), unimpressed with the president. Interestingly, this is the same year that amaBhungane was established with one of their first “exposes” focusing entirely on Zuma. Their first series outlined the ways in which the Zuma family unfairly benefitted from the Zuma presidency. The story outlined how Zuma’s wives and children were benefiting from business deals with Zuma loyalists in and out of the private sector. Strangely, the series of articles, which they termed “Zuma Inc” were, as the amaBhungane team also admitted, “likely to [have] some inaccuracies, [and] many gaps”. In this instance, amaBhungane published stories on a national newspaper, M&G, when they didn’t even have full information or evidence about the subject matter. The rest of the white media latched on to this information and ran with it – as inaccurate as it might have been. The inaccuracies didn’t matter – Zuma had to be nabbed. Also noteworthy is the language and tone used in these stories. A deep apprehension of bias pervades them, giving the impression that the persons discussed were already thought of as guilty and corrupt. 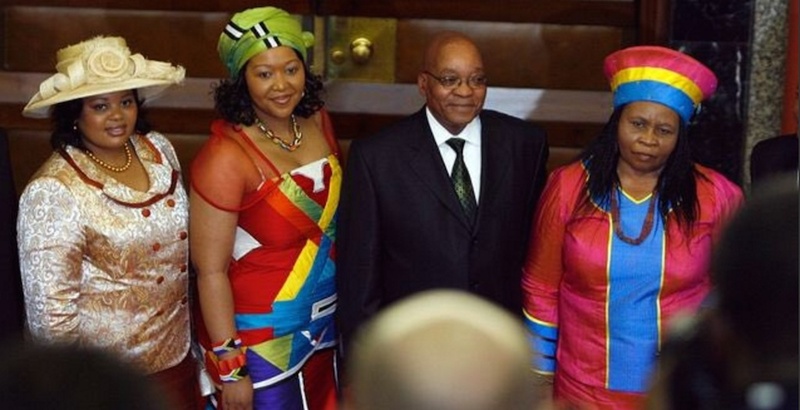 The language used to describe Zuma’s wives and his supposed “lovers” is laced with a patriarchal tone, describing Zuma’s partners as “his women” (this strips the women who choose to associate themselves with Zuma off of any agency) while also tacitly condemning the idea of polygamy – they cry about how “taxpayers” have to support “all the president’s wives”. Going through the list of stories on Zuma and his family one sees a litany of unnamed ‘sources’ and many allegations and accusations. It reminds you of one ‘State of Capture’ report by Thuli Madonsela which is based on media articles and allegations. From this beginning, amaBhungane goes on to produce news making pieces that shape the current narrative of state capture – a narrative which completely ignores state capture by white monopoly capital and which doesn’t take into account, but instead assists, in the imperialist project of regime change. The political process of regime change in South Africa is inextricably linked to the media. On the other hand, white capital is scrambling to maintain its grip on the South African economy. It must be noted that “white capital” is not some nebulous blob in the sky – it consists of groups of white, (mostly) male business moguls with interests in all sectors of the economy and companies in SA as well as in the Western Euro-American countries. White capital owns 80% of the land (mines, minerals, farms, oceans, industrials etc. ), 97% of the Johannesburg Stock Exchange (JSE), the media and all facets of the SA economy – including doing business with State Owned Enterprises (SOEs). They are at the top echelons of all these companies and conspire together to keep the SA economy at ransom – threatening the fall of the rand in order to maintain their monopoly. But, in its control and ownership of the media, white capital is a bit more strategic. They ‘invest’ using different companies and claim distance and no interference in what is covered – Stellenbosch mafia king Johann Rupert is notorious for this trick. White capital also opens up ‘philanthropic’ organisations of their businesses and donates to the media – this way keeping control but also feigning distance. On its website, amaBhungane notes that they are a non-profit organisation and this is the case because they want to “preserve [their] independence” and so “amaBhungane seeks donations from a multiplicity of funders over time, and do not accept government or corporate funding, or funding for specific stories”. This totals more than R8.5 million – excluding individual and monthly donations from the general public. Most notable of all the funding sources are the Open Society Foundation which has donated more than R2.5 million and the Millennium Trust which added more than R1.9 million to the amaBhungane coffers. The Open Society Foundation (OSF) is chaired and funded by the billionaire Hungarian-American business tycoon, ‘philanthropist’ and the man who invented the “hedge fund”, George Soros. 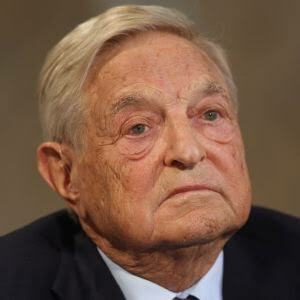 In the OSF website, Soros openly gloats that he “helped undermine Communism in the Eastern Bloc.” Soros, as meticulously indicated in this article (http://left.ru/inter/2003/december/soros.html), has a history of manufacturing instability in conflict ridden countries and manipulating the currency so that Western looters like the International Monetary Fund (IMF) and the World Bank can come in to “rescue” the economy. After turmoil is established, he (and many other rich ‘philanthropists’) comes in and funds NGO’s and uses his “philanthropy” to help establish an ‘open’ democracy in such places. These NGO’s and philanthropic endeavors are always apolitical, ahistorical and with an “’anti-statist’ ideology” as James Petras noted. 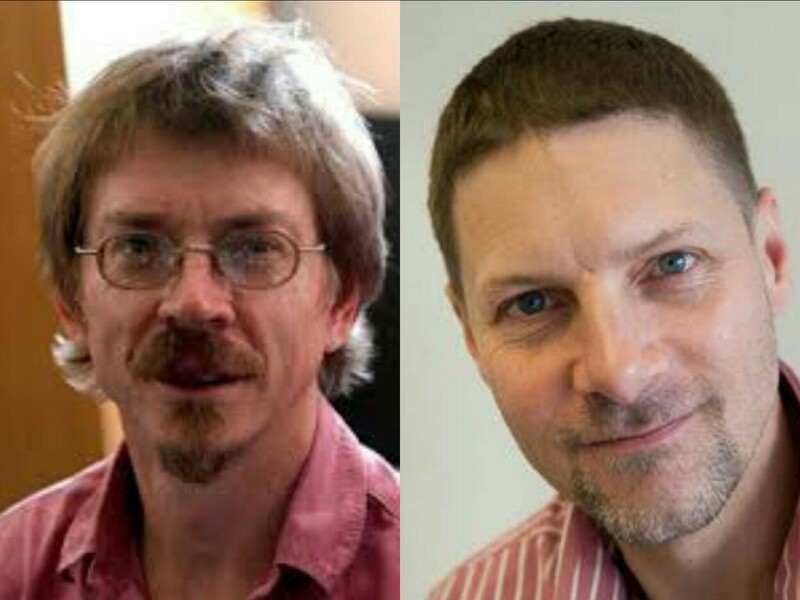 Ideologically most, if not all, of the organisations funded by Soros’ OSF follow a similar line of reasoning – they claim to push ‘democracy’ but completely ignore (and deliberately undermine) fundamental questions of race and the role of white supremacist violence in creating our current social systems. They ignore the role capitalism and imperialism have played in sustaining an environment where ‘corruption’ and ‘maladministration’ thrive. They ignore how white supremacy and capitalism have created unstable ‘democracies’ and that such NGOs exacerbate such instability instead of fixing them. The other funding sources are not innocent either. This leaves one to think about how the media is a functionary of ideological, political and imperialist wars while pleading ignorance. The strings to such funding are attached because amaBhungane uses the money received to further the same political agendas of these foundations. “Corruption has no colour,” is the line Brummer said when asked about allegations that amaBhungane only focuses on busting Black people for corruption and maladministration. But, when you go through the amaBhungane website, you only see one thing – the colourblind rhetoric holds no water – here corruption has a colour, and it is Black! Since April, when amaBhungane went independent, 108 articles have been published on their website. In this time, they have also published on other platforms including Daily Maverick and more recently, the Huffington Post South Africa – but here we will only focus on the website. – more recently, there is also a story by Craig McKune about how Cash Paymaster Services director Serge Belamant used a BEE front to win a R10-billion South African Social Security Agency (Sassa) contract. These stories, highlight some form of corruption by white people (with some of them still featuring black people in one way or the other) – a handful compared to the bucket loads of others highlighting how rotten corrupt Black people are. This shows that the amaBhungane team associates corruption with Black people. Their liberal colour-blind stance speaks nothing of the billions of rands in white hands via land ownership and economic monopoly but instead plays into the old white supremacist narrative of black being inherently bad and white being inherently good. This of course is not only seen in this news organisation but in many others too. Stories from the white mainstream media generally portray black people as violent, unthinking, corrupt and overly sexualised. Anyone who denies that the mainstream media in SA is a tool of white supremacy and imperialism is either a fool or grossly misinformed. The majority of black people in our country are the latter. As shown above, amaBhungane, and we would add Daily Maverick, M&G, HuffingtonPost South Africa etc., are part of a white supremacist imperialist onslaught on Black people, using ‘democracy’ as a veil to hide behind their sinister regime change agendas. Such white, liberal publications present themselves as crusaders for free speech, accountability and democracy but instead, they use their sheer opinion making capabilities to craft narratives that not only paint black people in a bad light but also gear the population for regime change. Talk of ‘independence’, neutrality, or objectivity is a farce. All media in SA is captured, and if a comprehensive study like this would be done on all these media outlets, black people would see how most news outlets negatively depict them. The president and his family are probably not innocent bystanders in the many allegations which have been levied against them, but the public (black people specifically) need to start asking why the family of the president, and one other family, the Guptas, has been made to singlehandedly account for all the problems of the state owned enterprises – even when the evidence has not been sufficient to support such claims.